The factors that have driven the UAE’s growth in business and tourism are responsible for the country’s emergence as a strategic commercial hub for the arts. Access to over two billion people as well as its modern and accessible arts infrastructure have contributed to the growth of Middle Eastern art as a global phenomenon. As it undergoes a phase of re-discovery, the UAE too is developing strong artistic talent of its own, reflecting its generation, moods and developments across various mediums, both traditional and new. The question that arises then is whether this strong surge of art and subsequent collaboration with business and government are the foundation of a new regional artistic movement in the GCC? Are we indeed on the cusp of a golden age for art in the Emirates? The reactions from the art community have been a mix of yeas, nays and ‘not yets’. Artists believe there is a growing community in the UAE that fosters intense artistic expression and creative avenues for their work. However, galleries maintain that while there is a definite market for local talent, for now, the UAE predominately operates as a commercial art hub, with a long way to go to achieve artistic legacies on par with countries such as Egypt, Istanbul, Jordan, Syria and Iran. 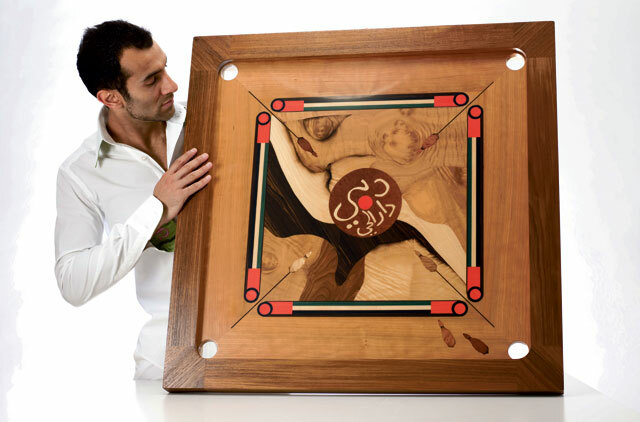 Interestingly, artistic sensibilities imbued the UAE’s ethos almost from the start. In the early sixties, before the establishment of the oil economy, two main orientations shaped traditional Emirati culture — the nomadic desert-oriented, small oasis-farming Bedouins within the broader context of the desert economy and culture, and the sea-oriented culture of pearling and trading. Rooted in tradition yet with an eye firmly on the horizon, these subcultures were economically, politically, and socially interdependent, creating a common social and cultural identity. Heavily influenced by the global cities, the nation’s small villages and towns gave way to multi-ethnic composition balancing global and local aspects. Municipalities adopted policies promoting Arab-Islamic architectural design, which progressively took on more urban tones with a heavy blend of national heritage. Preservation too emerged as a noble and important undertaking as old forts, palaces, souqs and mosques were restored; and new centres of learning, art and culture emerged for a new generation of artists, both local and expatriate. The UAE’s unparalleled growth in the arts, one could say, has been characterised by its urbanisation and its own unique brand of urban heritage — a strong grassroots art movement blended with the refined and critically acclaimed to create an irresistible magnetic pull. As the free zones fuelled the UAE’s diversified economic dream, its art movement became more organised. By 2007, the explosion of contemporary Chinese and Indian art had led to a similar interest in contemporary Middle Eastern art. By then, self-styled artistic zones such as Al Quoz and the upmarket Dubai International Financial Centre (DIFC) were already nurturing diverse local talent interspersed with international artists from across the world. “This obvious growth is exciting and [it is] the time to push harder and encourage and promote Arab art, which is happening through a series of well-devised events by galleries and institutions in the country, shaping and supporting a scene that hardly existed 15 years ago,” says Taranè Ali Khan of three, a boutique consulting division focused on specialised art programming. In terms of visual art, Dubai, Abu Dhabi and Sharjah position themselves distinctly; each adopting an approach reflective of its own economic and cultural outlook. While Dubai is the younger and more organic artistic hub with an estimated 85 galleries and price points to choose from, Abu Dhabi’s focus is on building a mammoth infrastructure to accommodate a higher profile of art with a more global outlook. Sharjah, on the other hand, has built an impressive body of work stressing on an aesthetic approach with critically acclaimed and cutting-edge art. To put things in perspective, Saadiyat Cultural District will be a defining moment for Abu Dhabi’s artistic interests and will feature world-class venues including the Louvre Abu Dhabi and Zayed National Museum among others. “Everything that Abu Dhabi is doing artistically is in preparation for the museums; Its role is clearly a federal one, following its position as the federal capital of the UAE,” says Pocock. While Abu Dhabi and Dubai’s art initiatives — Abu Dhabi Art and Art Dubai — garner more column inches, Sharjah’s undeniable contribution to the region’s art scene quietly continues to make a difference. Sharjah has a long and illustrious legacy of supporting the arts, with five of its 16 museums dedicated to contemporary art, calligraphy, Islamic civilisation, heritage and natural history. Apart from the Sharjah Art Foundation, the emirate has hosted, since 1989, the critically acclaimed and recently controversial Sharjah Biennale, which continues to operate as an artistic space where seminal works in a variety of forms are presented in relation to contemporary artists from over 30 countries. The UAE’s private sector, independent art experts and collectors have further boosted the cause by sponsoring and hosting events, effectively rallying around students, collectors, artists and enthusiasts to exchange ideas, collaborate on projects and spread awareness of art to the larger public. Contemporary art spaces such as the Pavilion Downtown, the Barjeel Foundation, the recently opened Salsali Private Museum, and the Maraya Art Centre offer non-profit platforms to promote the arts in the community as well as support a rising generation of artists in the region. A mention must be made of initiatives such as Art Conversations by Funoon where varied series of open discussions have enabled leading local and international art experts, emerging artists and art enthusiasts to exchange ideas and expertise, focusing on developing and improving creative and conceptual thinking, aesthetics, critiquing and appreciation. Initiatives such as the Jam Jar’s Art Bus raise awareness about artistic and cultural issues across the UAE. Open to just about anyone enthusiastic about art, the Art Bus tour highlights every local art gallery, their exhibitions, events and activities, as well as any local and international art fairs taking place in the UAE. As the region focuses on creating its own library of work, patrons apart from the art and cultural authorities help pave the way to not only exhibiting but creating relevant indigenous content. The second edition of the Patrons of the Arts Awards, instituted by His Highness Shaikh Mohammad Bin Rashid Al Maktoum, Vice-President of the UAE and Prime Minister and Ruler of Dubai, recognised 40 patrons this year for their contribution of more than Dh130 million in money or in kind to the arts and their role in encouraging and strengthening the cultural scene of Dubai. “The UAE is a relatively young country, which is still in the process of expanding its knowledge and infrastructure; it’s just a matter of time before the UAE’s brand of art makes its mark on the global art market,” says Ahmad Bachan, Manager, Opera Gallery. Opera Gallery’s recent partnership with Ritz-Carlton DIFC resulted in a permanent exhibition of contemporary art on the hotel premises, making art more accessible to residents and tourists. Middle Eastern art has enjoyed global sales for years; however, auctions in the Gulf are still developing. Christie’s inaugural sale of contemporary Middle Eastern art was held in 2006 in Dubai; similar initiatives followed from Bonhams’ biannual sale in 2007, with Sotheby’s holding a Middle Eastern art auction in Doha, instead of its traditional London venue, during the downturn. Christie’s continues to hold a majority market share in Dubai, while Bonhams explores supply to different segments of the local and international art market. This October, Christie’s announced a new sale format (Part II) to complement its recent sale, focusing on introducing more affordable, quality works to cater to a growing number of young or first-time collectors looking to buy art from their own generation. Thirty-nine of the artists showcased at Christie’s Part II sale were aged below 35, many selling to a large number of first-time buyers. The buyer breakdown was 67 per cent Middle Eastern and 33 per cent international. 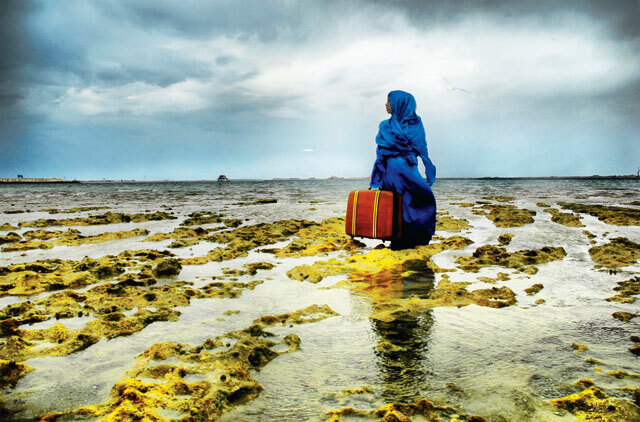 For the first time, a group of works by contemporary Emirati artists were included at the international auction, which included paintings by Noor Suwaidi and Lamya Gargash, photographic works by Lateefa Bint Maktoum, and a digital print by Saeed Khalifa. All of the Emirati artists’ works were sold above estimates of $3,000, totalling $40,750. “There is a growing appetite for collecting art in the UAE; while it is still in a phase of intense but slow growth, it is a testament to the country’s maturing group of contemporary artists,” says de la Bruyere. The collectors are not the only angel investors. Corporate art grants such as the world’s most generous art prize — Abraaj Capital Art Prize (ACAP) — directly funds projects by artists from the region and is the only art prize specifically for the Middle East, North Africa and South Asia (Menasa). More foundations such as the Shaikha Manal Young Artist Award are working to reach out to students and community, spreading awareness of art. As the UAE’s importance as an art hub grows, it needs to develop its local content through local channels so artists develop their art organically and not depend constantly on international ‘transplants’ or platforms for recognition. To achieve this, however, the quality and importance given to art education and the need to break through the stereotyping of art as a profession is important. “It will take at least one generation to make art an acceptable career for a man to hold in the GCC — as a career for a man in the GCC it is not fully respected. While there is ample local talent, it needs to go much further and a good art education is key to this process,” says Pocock. Currently, there are several established local and international universities with art, design, and film programmes grooming the next generation of talent on which the UAE could very well build its artistic legacy. However, the lack of interest from students, the dearth of public galleries and the perceived distance between private galleries and the public only add to the roadblocks. Another key concern is the need to produce cultural publications in native languages. Pocock oversees Meem Gallery’s Noor Library of Islamic Art, which is regarded as the region’s largest resource centre for the arts of the Islamic world to date, housing a collection of 3,500 books, journals and auction catalogues relating to Islamic and modern and contemporary Middle Eastern art. “We’re in the Middle East, and therefore in order to make art relatable, material, resources, platforms and books on art need to be produced in Arabic and English so that the region has open access to its artistic talents and are able to partake in the experience completely as well as create awareness on a global platform. We have shown with Meem’s books that bilingual titles work and this is the way ahead,” he says. So is the UAE poised on the brink of a cultural renaissance? While one would love to say yes, the reality is that this young nation is definitely off to a fantastic start with miles to go before it can galvanise the pockets of artistic promise it has so successfully managed to foster so quickly. For now, a growing community of Arab artists, both local and international, is blossoming and turning homeward where their art is becoming an integral weave in the grander scheme of the UAE’s art dreams. Art Dubai recently announced a residency programme in 2012 in partnership with the Delfina Foundation, Tashkeel, and the Dubai Culture & Arts Authority. “We’ve recently held jury meetings to select three Emirati artists, who will be given studios in Bastikiya from January – April next year alongside three international artists and a curator in residence. The objective is to produce new work for exhibition at Sikka, which is a major and exciting step in supporting artists’ careers,” says Carver. More foundations are working to reach out to students and community to spread the awareness and importance of art. Recently, representatives from The Sheikha Manal Young Artist Award conducted special road shows at universities in Dubai and Fujairah to share details of the annual fine arts competition, which aims to encourage, recognize and promote emerging artists from the UAE. Established in 2006, the award is especially popular amongst university students majoring in art, design and multi-media, receiving over 300 entries from 12 different nationalities last year. We spoke to some of UAE’s creative trailblazers to give us their views on where UAE’s brand of artistic expression stands today and its way forward. As the visual arts enjoy critical and economic success, the UAE’s extended artistic pursuits are also enjoying a golden run. By 2030, Abu Dhabi intends to establish itself as an artistic hub, thereby catapulting the nation to the status of a major cultural destination. The UAE has already thrown up some serious home-grown talent. Abu Dhabi’s twofour54, Dubai’s Media City and smaller media free zones in the other emirates are playing a significant role in the development of film and television. Add to this, the nation’s pulsing underground music scene that ably balances its own local music movement with popular and world-class music events, both in Abu Dhabi and Dubai. Artistes from across the world come to the UAE to perform with whom the nation’s own talent share the spotlight. Case in point, the UAE’s own death metal band Nervecell, who recently opened for Metallica in Abu Dhabi or Abri, one of the best original acts to be discovered in the UAE, that’s seen niche international acclaim with its unique blend of jazz, soul and R&B. The UAE has invested in developing its own traditional art and cultural practices, which include the revival of both classical Arabic and colloquial Nabati poetry, a deeply rooted cultural attribute that has not been lost with modernisation. Using modern media and sponsored by the Abu Dhabi Authority for Culture and Heritage, Poet of the Million and the Prince of Poets were broadcast to critical acclaim on Abu Dhabi TV and poetry channels. found their place on the country’s stage. Most emirates have their own theatre group. The annual Dubai Youth Theatre Festival celebrates and fosters the art of theatre, while the youth also leverage the Emirates Youth Symphony Orchestra to hone their interest in classical music. Just 40 years in, our arts and cultural scene is bursting with a quality few nations can claim to equal.